Our knowledge or how to stay healthy is constantly evolving. 15 years ago when Baruch came to me concerning eating properly and how to exercise, I advised him that he should only use low-fat products. Today I would advise him differently and make sure he had enough healthy fats in the diet—not to go high fat, but if you think about it, it’s only since the low-fat and no-fat fads started that our obesity epidemic got much worse. How much should we exercise? 25 years ago your doctor probably told you that a brisk walk for 20 minutes a day 3 days a week would keep you out of his office. Today, we know that isn’t enough. Do you remember your parents switching from butter to margarine back in the late 1960’s? Butter is a saturated fat which can’t be healthy and margarine has no saturated fat so it must be the best alternative. Now we know that the margarine of yesteryear was VERY unhealthy! Over the last few months, more and more research is reaching conclusions that shed more light on what is working for us and what is not in our everlasting pursuit of quality of life and longer life. other means to attain health, it is based on large studies, which is good. 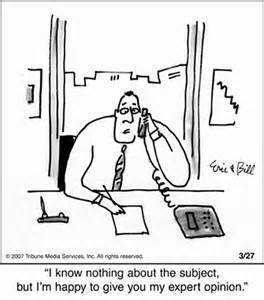 But it takes many, many years to see conclusive results from these studies and often times we jump the gun. Here are some very interesting developments in the field of health and weight loss over the past few months. 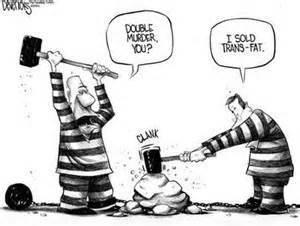 As those of you who read my articles know, eating trans-fats is an absolute no-no. Just to review, these man-made fats were created by solidifying a polyunsaturated fat through heating and hydrogen. They help increase the shelf life of foods. Trans-fats are found in margarine, products such as Crisco, and in the hydrogenated vegetable oil which is found in food products-including many of your favorite pareve desserts. BEWARE! These fats are hazardous to your health, and even if a product claims to be free of trans-fats, it may still have some. It can, or even will give you heart disease if you eat enough of it. Saturated fat was not associated with increased risk for all-cause mortality, cardiovascular mortality, ischemic stroke, or diabetes, according to the authors of the study, who were led by Russell de Souza, ScD, at McMaster University in Canada. But there was no convincing lack of association between saturated fat and some outcomes, and the data for saturated fats were limited, found the study, which appeared this week in The BMJ. Richard Feinman, PhD, at SUNY Downstate Medical Center in New York, said in an interview with MedPage Today that the findings on saturated fats fit in with what was already known. “You can’t keep doing these same studies over and over again and expect to get different results,” he said. He suggested that the science was “settled a long time ago” when findings emerged finding a lack of evidence for an association between saturated fat and heightened risk of heart disease. According to George Bray, MD, a member of the American Board of Obesity Medicine, the latest study doesn’t indicate that saturated fats present any kind of a harm. “This result will be surprising to some since recommendations to lower saturated fat are still widely circulated, but there seems to be little basis for that — at least this study didn’t find any,” he wrote in an email. In other words, while we still need to keep calories in mind, saturated fats may not be the big culprit in heart disease we once thought. 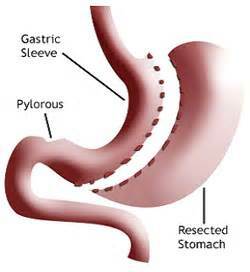 Weight loss surgical interventions are supposed to end up being the cure-all for obesity and diabetes. We already know that the using the “band” doesn’t work in the long haul and that no one really can reach their weight loss goals that way. 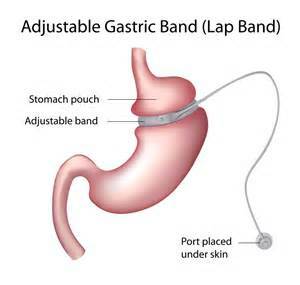 Most advance bariatric surgical centers have abandoned LAP banding long ago. A study done in Europe has questioned the long-term effectiveness of the LAP banding device, finding that many patients suffered major complications and half of them eventually had the device removed. The report, published Monday in the Archives of Surgery, focused on 82 surgeries performed between 1994 and 1997. Even though patients reported losing significant weight, complications such as band erosion and infections led researchers to conclude the surgery had “relatively poor long-term outcomes.” Four patients have died within the last two years following LAP-Band surgeries performed in Southern California, prompting medical malpractice lawsuits and investigations by the Medical Board of California. None of the patients involved in the European study died as a result of the surgeries. But 32 of 82 reported major complications, and 49 of them had additional surgeries, either to correct problems or because of a lack of weight loss. In addition, remission of hypertension was maintained in 45.5% of patients, and there were significant differences in levels of high-density lipoprotein cholesterol levels and triglyceride levels, according to the authors, who were led by Andrei Keidar, MD, at the Beilinson Hospital in Israel. And look at diabetes: Complete remission of diabetes was maintained in 50.7%, 38.2%, and 20.0% of patients at one, three, and five years of follow-up. Only 20% of the patients were able to maintain their improvement and remission of their diabetes. In other words, the latest magic cure for diabetics isn’t that at all! Research is so important and yes, we DO know more now than we’ve ever known about how to maintain good health. 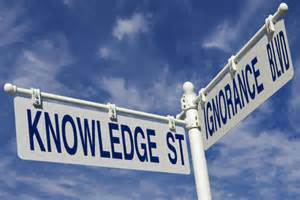 But it is vital to keep up with the latest knowledge and make sure it is coming from reliable and credible scientific sources. The longer studies are carried out and the longer they are analyzed, the smarter we become in the world of nutrition, exercise and well-being.